Believe it or not, the UFC is hosting a mixed martial arts show tonight. Every scrap on the card airs live and for free. What’s your interest level at now? The Gambling Gods have also released all of the investment options for the fights. I thought that last one would get your blood pumping. 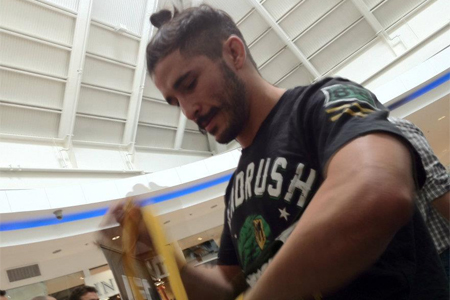 A flyweight bout between Ian McCall (Pictured) and Demetrious Johnson headlines the bash. Johnson is a slight -145 odds-on favorite to advance in the 125-pound tournament to meet Joseph Benavidez in the finals. McCall, meanwhile, checks in just behind as a +115 underdog. Just like in their first meeting, which ultimately and controversially resulted in a majority draw, their rematch is going to be a tough contest to call. BankAtlantic Center in Fort Lauderdale, Florida hosts the bash. FX broadcasts the main card live beginning at 9PM ET/6PM PT.